If you’re bringing an agricultural or agtech product to market. 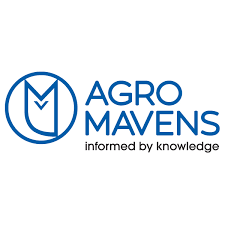 Agro Mavens will help you build your story and share it with the right audiences. We turn knowledge into action, with a full-service marketing approach that draws on twenty years of experience across six continents. Agriculture and agtech is our speciality; agricultural communications and public relations our forté. Based in the UK, we craft winning strategies for agricultural and agtech clients around the world. Focused only on agriculturally active companies, we help you to recognise the strengths and weaknesses in your products or services, then work with you to identify and create opportunities in your marketing and communications strategies, fully developing its potential – growing markets, effecting change, driving innovation. Our client portfolio ranges from agtech start-ups to crop protection and machinery multinationals: if you’ve an agricultural story, we want to work with you. Call us if you’d like to discuss your needs and arrange an initial introductory consultation; we work from London and Wiltshire.